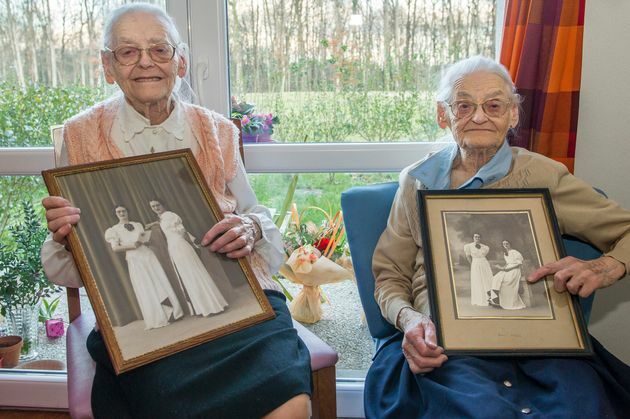 The secret to a long life might be simpler than anyone imagined, according to twins in France. As AFP reports, Simone Thiot and Paulette Olivier turned 104 on Jan. 30 after being born prematurely in 1912. The odds of survival were slim for the twins, but they pulled through together. They said their close relationship has been the key to their longevity. “We did gymnastics for a long time, and a huge amount of cycling — almost every day, ” they said. AFP reports that though it is not official, Thiot and Olivier are “the likely holders” of the title of oldest twins in France. In January, they celebrated their birthday with some sweet gifts: blooms from other retirement home residents and the local council in France. “We’re being very spoiled, ” one of the twins said. Only last year, the world’s oldest twin friends, Pieter and Paulus Langerock of Belgium,also credited their closeness with their long lives. The brothers, who turned 102 last year , noted that they, too, are always together.